Making things visual is always a helpful tool for the beginning poker player. 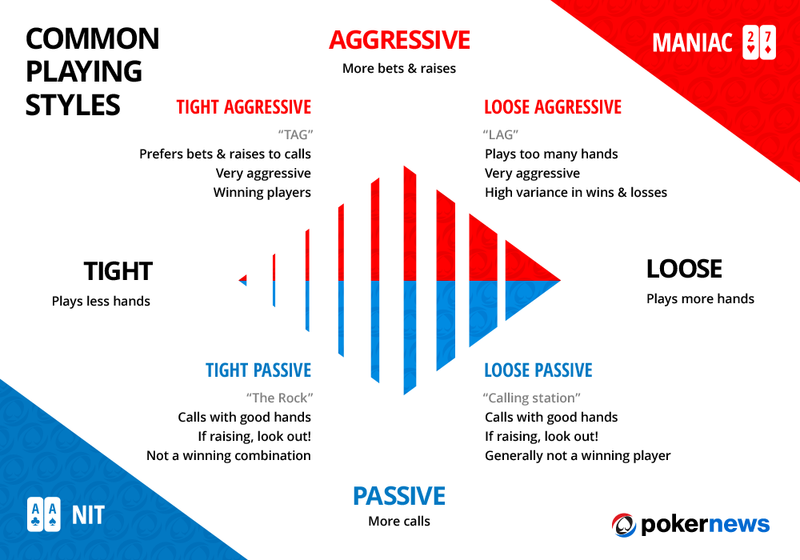 This table represents the basic poker styles you may encounter, and will help you on your poker playing journey. Some good advice from us over at PokerNews: try to frame your opponents and figure out what style they play. This will help you navigate yourself at the table with a greater amount of ease. To read the article which explains these styles in greater depth, follow this link to Poker 101: Poker Player Styles You Need to Know!